If I had to estimate, Pokémon is probably the video game series I’ve spent the most hours with in my entire life. From the moment I picked Bulbasaur all the way back on my 11th birthday in 1999 I knew I’d found the perfect game for me. The Pokémon series was the first RPGs I’d ever played and it’s a great introduction to the genre. The cartoon that had also started that year was also my first real exposure to anime, save for some badly dubbed 80s cartoons I may have seen. All of this combined into a perfect pokéstorm of new and exciting things and I’ve been on board ever since. Moon and its counterpart Sun are the latest instalment in the main Pokémon series and while it does mark a bit of a departure to the Pokémon formula there’s still some familiar aspects to keep older fans interested. I only played Pokémon Moon but Sun is effectively the same game just with a few version exclusive Pokémon and minor changes. You start off the game in pretty much the same way you always do. A nameless aspiring Pokémon trainer that moves to a new island/country with their mother. In this case you’re a new arrival in the Alola region which is basically Hawaii. Here you befriend the local professor who gives you your first Pokémon and sets up your whole journey. Your main goal is to collect and train a team of pocket monsters that are strong enough to defeat all rivals and help you eventually become the Pokémon League Champion. You do this by finding wild Pokémon in the plentiful tall grass and water of the Alolan region. Once you find a monster you like the look of you can catch it in a Pokéball then it becomes part of your team. You can then send it back out into battle to level up and eventually evolve into a stronger monster. Right away I noticed some improvements from the older games in the presentation of the story moments. The camera angles and character animations are much more lively and charming than any of the previous games. The world overall feels a lot more alive. When you walk down a path you’ll hear the cries of Pokémon in the area, the various towns people will mill around instead of being motionless statues and sometimes Pokémon will randomly swoop down from the sky or jump out of a bush to battle you. All of this just really goes to show how far they’ve come since those early Gameboy days, it’s even a vast improvement from 2013’s X and Y games. All of these improvements to the world do have a cost though. I experienced a lot of slow down in any battle with more than 2 pokemon, in busy areas of the cities or when big special attacks were used. You can tell this game is really pushing the 3DS to its limits. Supposedly some of these issues can be mitigated by having one of the New Nintendo 3DS’s but I’m still rocking the 4 year old 3DS XL so I can’t personally confirm that. Speaking of special attacks that’s one of Sun/Moon’s new additions. Throughout your journey you’ll be faced with island challenges which take the place of the classic Pokémon gyms we’ve seen in other games. These challenges are quite different because instead of battling a gym leader at the end you’re attacked by an extra strong wild Totem Pokémon. At the start of the battle the Totem pokemon gets a beneficial stat boost and he can also call in some ally Pokémon making it a 2 on 1 fight. These battles became a refreshing challenge as the game went on because in previous games I’ve always felt pretty overpowered throughout. Once you defeat this boss you’re given a Z-Crystal which can power up a specific type of move letting you unleash a super attack once per battle. These Z-Attacks are pretty spectacular to watch (they’re almost as epic as a Final Fantasy summon) and can often let you easily take out a threat before they do any damage to your team. As with any good Pokémon game there is always a team of evil doers who try to thwart your progress at every turn and Sun/Moon introduces Team Skull. Normally these bad guy teams are pretty forgettable but Team Skull are beyond charming, they’re just so dumb and pathetic you can’t help but root for them. They’re basically the Pokémon world equivalent of Juggalos only a lot less gross. All of their lines of dialogue are spoken in rhyme and their appearance is always signalled by a goofy rap beat music track. The way they convey so much personality without any voice acting is a joy to experience and it’s head and shoulders above anything else in the series. There is a much bigger focus on story and characters in this game. It all flows together quite well too, you always know what you’re doing and very rarely stuck wondering where you need to go next. There are some fun twists and turns along the way but overall it felt like there was a bit too much of an anime influence and there were a lot of moments where things got a bit to ridiculous to take seriously. Pokémon Sun/Moon are huge games and when you lay it all out it can seem a bit daunting especially now that we’re up to a total of 802 Pokémon as of this release. The amazing thing is that Pokémon games can be played at almost any level of complexity. You could really dig into the minutia and weigh up all the strengths and weaknesses of your Pokémon in every battle or you could probably just over level your starter Pokémon so that it outclasses everything you battle and ignore strategy altogether. It offers something to people of all skill levels which is probably why it’s been one of Nintendo’s most successful and enduring franchises. Whether you’re a returning Pokémon Super Nerd or a new fan brought in after the phenomenon of Pokémon GO I’m sure you’ll be able to find something to enjoy. 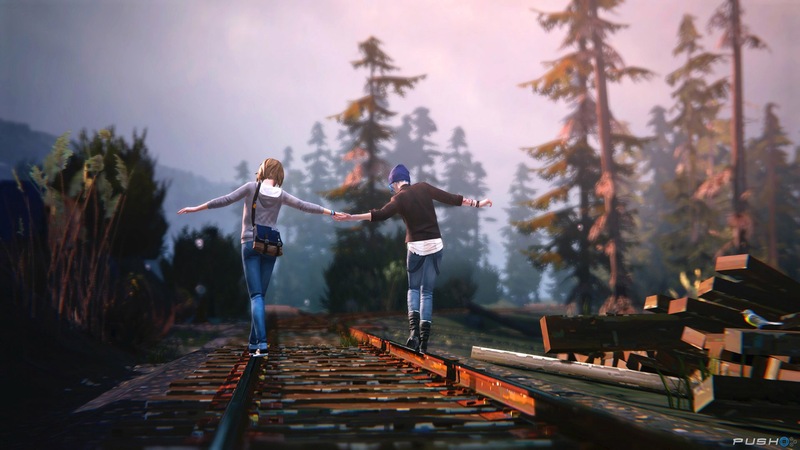 Life Is Strange was a complete surprise to me. I tried the first episode on a whim because I’d read about it being some of the best storytelling in a video game of 2015. I was not disappointed. Disclaimer – there will be some early story spoilers in this review but I’ll try to be as vague as possible. 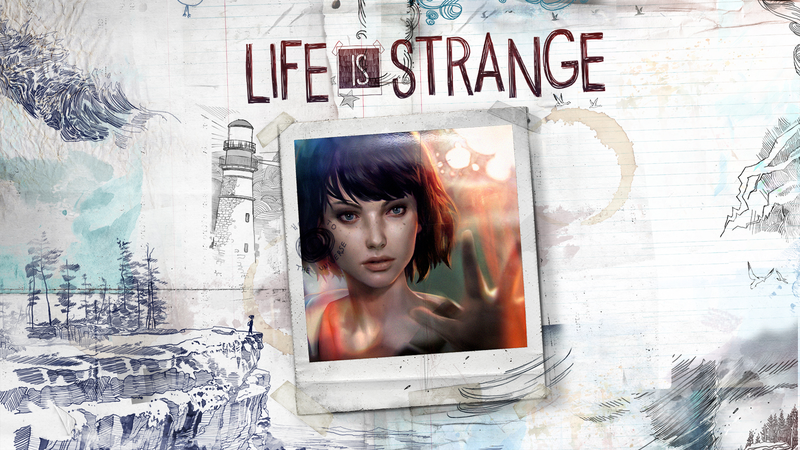 In this game you take the role of the 18 year old Max Caulfield an aspiring photographer who’s moving back to her sleepy seaside hometown after 5 years in Seattle. This is a good framing device for the player as it let’s you explore the town’s characters with Max because she’s been away so long she barely knows anyone anymore. In the first playable scene you’re in photography class. This is your first chance to meet some of your fellow students at Blackwell High. All of your classic American school stereotypes are represented; jocks, mean girls, nerds, goths and unpopular kids. Max falls somewhere in the middle of the social totem pole, letting you chat to pretty much anyone you want. You can hit Triangle to get a brief explanation or hear what Max is thinking about most objects and people in the world that you can interact with. So I took this time to learn about my fellow classmates. It’s not long before the teacher starts asking you questions to see if you were paying attention to what he was saying. I wasn’t, I got distracted by having Max take selfie so this actually caught me off guard and I answered incorrectly. This mistake gave the mean girl Victoria a chance to show me up in front of everyone. So the classroom scene plays out and Max heads out to the bathroom to compose herself where she witnesses a boy and girl arguing. This argument get’s extremely heated and the boy pulls a gun and shoots the girl. As the girl hits the ground Max holds out her hand and time suddenly stops. This is where the game shows it’s unique gameplay mechanic for the first time. Max is suddenly transported to a cliffside lighthouse being torn apart by a tornado and just as she’s about to get crushed by falling debris she wakes up back in the same classroom you started in. During every conversation and event from this point on you’ll have access to Max’s time rewinding power. So for instance you could let things play out in the classroom exactly as before but now you know the question you could steal Victoria’s answer much to her chagrin. More importantly this also means that you can be ready to save the girl from being shot later on. It’s a well thought out mechanic that allows the developers to turn the any conversation into a puzzle. Sometimes you may have to question a room full of people so you can then rewind with all of your new found knowledge and have the perfect conversation with a key character. Or you can retry a whole scenario that went bad. I came across an example of this fairly early on where you meet up with your childhood friend Chloe at her house and she asks you to take the rap for some weed she was smoking when her step dad shows up. If you claim it’s your weed you get threatened with a call to your parents but ultimately the situation defuses. However if you let Chloe take the rightful blame things escalate very quickly culminating in her step dad hitting her in a rage. Luckily the game usually warns you before you hit a point of no return so I had a chance to put things right after that screw up. There are some story situations that can’t be avoided or failed and in these cases you will be forced to rewind if you mess it up. These moments typically involve saving one of the main character’s lives but you should never let your guard down when playing Life Is Strange. This game has some of the hardest choices I’ve ever had to make in a game. It made me feel like I knew the characters personally and that made it way harder to decide their fate. There have been multiple times I’ve had to put the controller down and talk it out with my girlfriend next to me. She’d been watching and was almost always just as conflicted as I was. Over the course of the first 2 episodes they let you mess around and in time start to rely on your powers to get through conversations. Then you get to a life or death moment only to find out you’ve overused your powers that day and you have to carefully pick the correct answers and actually use knowledge you’ve hopefully have been accruing along your way. Luckily I had been trying to learn everything I could about this particular person and was able to save them. The way they take your powers away does a great job of making you feel useless in that moment. Add in that this was a character I genuinely cared about saving and this was definitely the most memorable moment of the game for me. 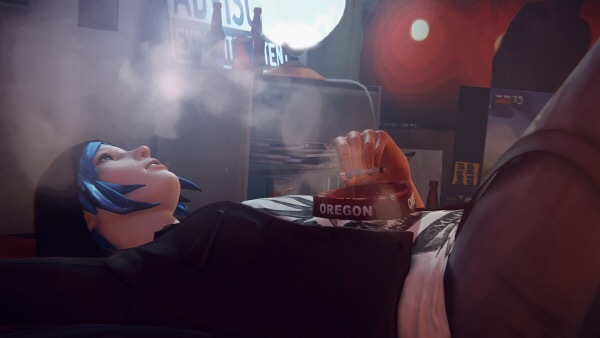 Unfortunately Life Is Strange can show some signs of it’s low budget origin at times. Some of the lip synching doesn’t always match up with the audio and the facial animation isn’t on par with bigger budget games which have access to facial capture techniques. This can make the characters look a bit like creepy puppets at times. I don’t personally think this is a big deal in the grand scheme of the game and I still really enjoyed the character interaction in spite of this. I don’t really want to reveal anything else about the story because that’s basically the main reason to play it. The game is mechanically sound as far as I’ve seen. I didn’t experience any glitches or crashes during my time. 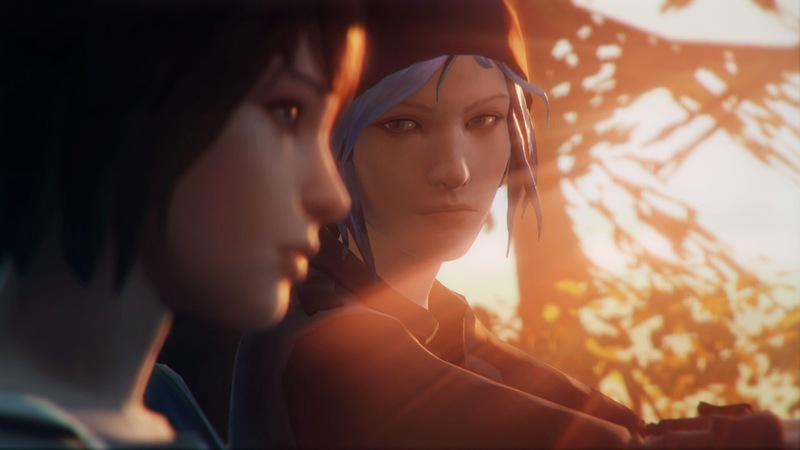 So if anything I’ve said seems intriguing then I would definitely recommend Life Is Strange.